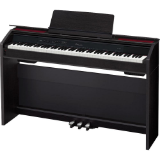 Digital Piano Review Guide | Digital Piano Reviews and News. Visit our Getting Started page for guidance on finding the right piano. 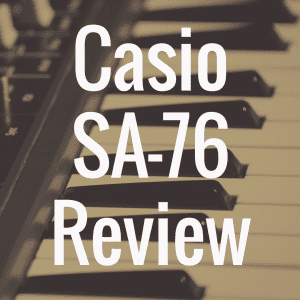 Visit our Piano Review page to find all of our digital piano reviews. Learn how to play the piano from the comfort of your home. 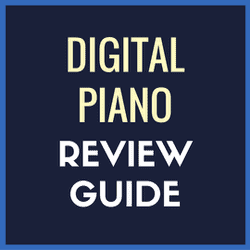 Welcome to Digital Piano Review Guide, where digital piano beginners and longtime enthusiasts can find in-depth reviews of piano models, helpful tips, industry news, and even learn how to play the piano itself. If you’re a brand new visitor, we encourage you to check out our Getting Started page, which helps new visitors find what we feel are our most essential articles to read if you’re looking for a new digital piano. The evolution of the piano as an instrument has taken a wide variety of developments throughout its history. It is certainly one of the most interesting instruments ever to be created, if not the most popular. The piano is widely credited as having been created and developed by Italian instrument maker, Bartolomeo Cristofori in the 18th century, and ever since it has gone on to delight the homes, playing halls, and concert venues of people all across the world. There are many different types of pianos, and they are mostly divided into a few categories, being: vertical pianos, horizontal pianos, digital pianos, and keyboards. Vertical pianos consist of the traditional constructs of the instrument, with vibrating wires that can be tuned. There are spinets, consoles, studios, and upright pianos. 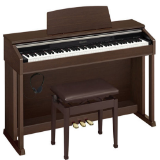 Horizontal pianos contain all grand pianos, and have a larger range of keys. Within this category are petite, baby, medium, and parlor grand pianos, with ballroom and concert grand pianos following behind them as the largest. 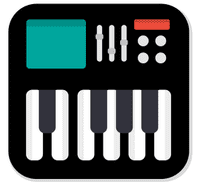 Digital pianos and keyboards contain many of the same elements, except they are electrical and contain a bevy of predetermined sounds, which are stored inside the instrument. 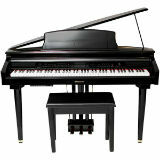 Digital pianos are constructed similarly to upright pianos, but are lighter and don’t have vibrating wires. Keyboards have no legs attached at all, and are great for their portability. For the sake of this discourse, we will include keyboards in the category of digital pianos. Digital pianos have become some of the most popular and desired of all pianos because of their affordability, their ability to produce a wide range of sounds, and their ability to be incorporated in a wide range of musical production. Traditional pianos have their purpose, but they fail in many areas for a number of reasons. Traditional pianos look great in a person’s living room, but many times that’s all they are, a piece of furniture. They can be difficult to move. A person can’t turn the volume down or plug in a set of headphones to accommodate others in a living space. Or they can flat out be way too expensive. With most digital pianos you don’t run into these problems. Add on the number of desirable features you may find in a digital piano or workstation keyboard, and it usually seals the deal for most buyers. 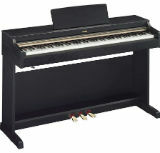 Digital pianos are sought after mostly because of the precision with which they can resemble traditional pianos. They can have perfectly weighted keys identical to that of a piano, along with identical pedals. Workstation keyboards many times come with fancy LCD screens, multiple gigabytes of memory and compatibility with any computer system. Of course, the more one gets into the different specifics of digital pianos, the more it becomes evident that every piano is not suitable for everyone. The most important factors in deciding on what digital piano is right for you come from the key features you desire. If you are an acoustic pianist that is looking to further his or her craft, or someone that wants to practice on an instrument that simulates certain environments (like Casio’s “Hall Simulator” feature, for instance), then maybe a digital piano is right for you. 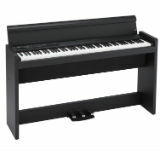 Digital pianos, as stated before, can be designed to the exact specifications of a traditional piano, from the number of keys to the weight of the keys. If you’re music producer or DJ that’s looking for more of a studio feel, and needs the capabilities to record, store, and perform music, then workstation keyboards might be better for you. And of course, if you’re a complete “newbie” to the world of piano, or even someone that knows how to play quite well, then anything from a 61-key keyboard to a feature-rich 88-key digital piano is likely most ideal. 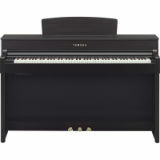 When looking into a digital piano, you must pay close attention to the type of sound that comes out of the instrument. As a pianist, you’re looking for the most realistic adaptation you can get, so you can actually set yourself back by practicing on a machine that doesn’t give you the same sound as a traditional piano. Digital pianos contain a large number of sounds, which are recorded from actual instruments in every single note, and at different velocities. There certainly will be a piano out there that has the sound you’re looking for. As with the keys of the keyboard, always look to test out how it feels to you as a player. Following the construction of a traditional piano, the keys towards the bass area should get heavier and heavier, while those towards the treble area should get lighter and lighter. If you test the piano out and your hands get tired and sore quickly, it may be a sign that this particular piano is not suitable for you. As stated before, it’s important to decide just where exactly this piano will be played, or if you are looking for a piano that will be portable. Pianos that need to be in an open venue or in a performance type of situation will need in-built amplifiers. Digital pianos to be played at home won’t need this, but may need the ability to incorporate headphones and volume control. Digital pianos can come in a variety of styles, and you should do your research to find out just which one you need. 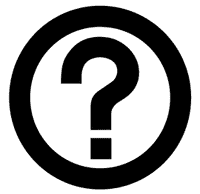 Most pianos can be constructed to accommodate 61, 76, or 88 keys, as is the same with any workstation keyboard. Some of the important features to look out for can be MIDI sequencing ports, USB ports or adapters, SmartCard, and Wi-Fi capability. 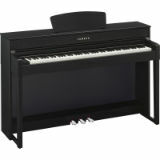 The price range for digital pianos is pretty wide, and depends on what the buyer is looking for. 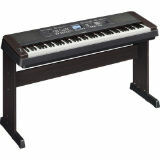 You can find dependable digital pianos for as low as $500, and keyboards for as low as $100. High-end digital pianos range out at about $5,000, with most workstations clipping out around $4,000. However, at the end of the day, these prices are no comparison with the hefty costs of traditional pianos which can be anywhere from $50,000 to $100,000. Someone who is new to purchasing digital pianos may have to depend on the popular brand names that most people know, but even then, they shouldn’t be far off from finding a dependable machine. 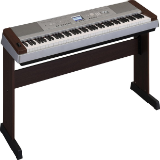 Some of the most notable brand names for digital pianos and workstation keyboards are Clavinova, Yamaha, Casio, Roland, and Korg. 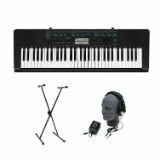 Yamaha keyboards are some of the most trusted and well known, while Casios are known for their affordability. 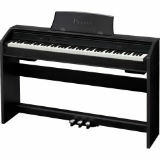 Roland and Korg have produced some of the most coveted lines of digital pianos, with the Fantom series for Roland and the Triton for Korg series being the most sought after. One of the most wonderful things about digital pianos is that just about everyone can use them. Sometimes with traditional pianos, people can be held back by having to be in a certain location, not being able to afford them, or not having the strength to handle the keys or the expertise to operate some of the more advanced functions. With digital pianos, mostly none of these restrictions apply, and anyone can find a machine that is suitable to their desire. I personally have experienced this many times throughout my interactions with pianos. I first fell in love with the piano at an early age through my elementary school. I was amazed by the instrument and the level of dedication it took for people to learn and play it with skill. However, I was always disappointed when I couldn’t experiment with that hallway piano, and I longed to have one of my own. My prayers were answered when my parents gifted me with my first Casio keyboard. It was a beauty to me, and had a simple memory bank of sounds, with a 6-track song arranger and modulation wheel. It was that machine that taught me to play, produce, and arrange tracks, and has served me to this day. It was perfect for my situation. But I, like many other keyboardists, piano players, songwriters, and composers alike have desired to advance to some of the more coveted digital pianos made famous by producers and artists around the world. There were the P-Funk All Stars who popularized keyboards and synthesizers with their captivating performances of the 70’s. There was Stevie Wonder, who made famous the Clavinet and possibly keyboard playing more than any other artist in recent history. 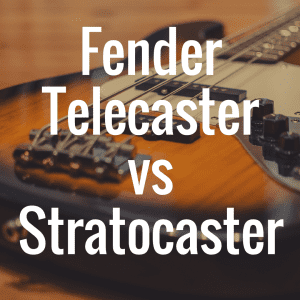 Names like Herbie Hancock, Jon Lord, and Keith Emerson roll off the tongue as artists who have led the way in their respective genres, all while using many of the digital pianos we have come to know and love. As technology continues to move forward, and innovation continues to expand possibilities, so the wide expanse of digital pianos will continue to improve. We have already seen much advancement in just the past 30 years, and have enjoyed its benefits and the fruits of its production from many different sources. Digital pianos will continue to be a big mainstay in homes, studios, and performance halls of musicians for years to come. 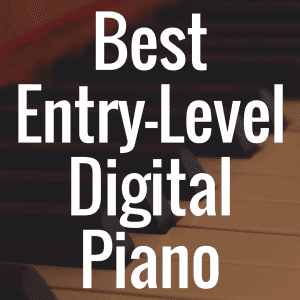 With the right direction and guidance, anyone can choose the right digital piano to help take them to whatever level they desire to progress. 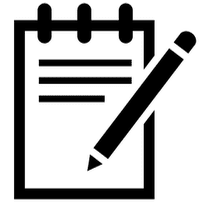 Need a little help in finding what you’re searching for? If so, please go to the appropriate pages, as they’ll aid you best in your search. 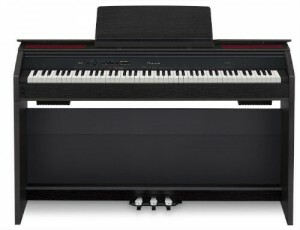 Best Digital Piano With 88 Weighted Keys? We hope you enjoy our digital piano reviews, and be sure to leave us a comment so we know you stopped by!